Leger Marketing, one of Canada`s largest and most renowned polling organization was retained by the Consumer Choice Organization to research and conduct both consumer & business surveys of about 1,000 persons to determine the best services in Toronto for the category that the service falls into. These prestigious awards cannot be bought, as consumers choose which companies are outstanding in the winners field of service. For business excellence ins the Self Storage Toronto category, Jiffy Self Storage became a 17 time consecutive winner of this prestigious Consumer Choice Award. 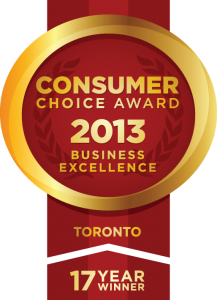 Consumer Choice Award organization has been bestowing these awards since its inception in1987. Its main purpose is the recognition of the best local businesses and services across Canada, Jiffy Self-Storage is proud of its business achievements with Consumer Choice Award. To celebrate its win of this year`s Consumer Choice Award, Jiffy Storage Toronto is giving away a free iPad as grand prize in a contest known as the Great Toronto GTA Jiffy Famous Landmark Contest. No purchase is necessary to enter and It`s fun and easy to play. Contest closes at the end of this month. So don`t delay and let someone else get their hands on this iPad prize give away. For best Toronto storage solutions, there’s no better Toronto storage company than Jiffy Self-Storage.